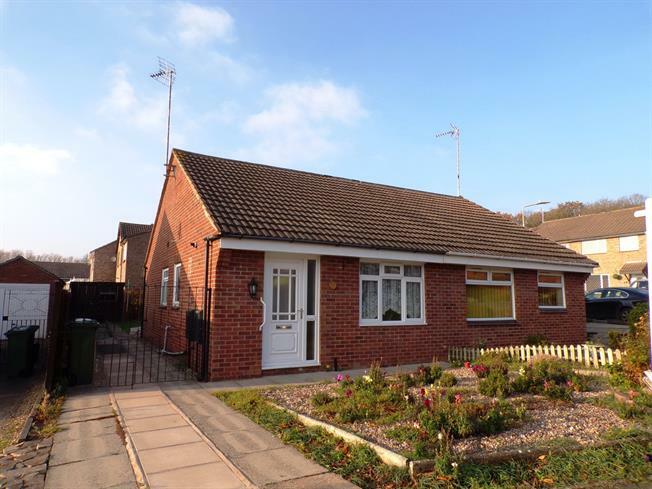 2 Bedroom Semi Detached Bungalow For Sale in Leicester for Offers Over £150,000. A well presented two bedroom semi detached bungalow positioned in a great location in Glen Parva. The property has been well maintained and offers well proportioned accommodation. Entrance lobby with two good storage cupboards, lounge, galley kitchen, two double bedrooms, purpose built wet room. To the front of the property is a pretty front garden, driveway providing parking, the rear garden is not overlooked offering high degrees of privacy. Upvc door to the front onto the driveway, UPVC obscured window to the front. Additional storage housing the boiler. Cloaks storage, ideal for coats and shoes. Double glazed uPVC window facing the front overlooking the garden. Radiator and electric fire. Double glazed uPVC window facing the side. Tiled flooring. Roll top work surface, wall and base units, stainless steel sink. Aluminium sliding double glazed door, opening onto the patio. Radiator. Double glazed uPVC window with obscure glass facing the side. Radiator. Low level WC, wet room, wash hand basin. To the front of the property is a low maintenance garden which has gravelled beds and borders filled with flowers, paved driveway with further driveway beyond gates leading to a private rear garden which is enclosed by timber fencing, mainly laid to lawn, shaped patio area, borders filled with plants and mature shrubs, timber garden shed.